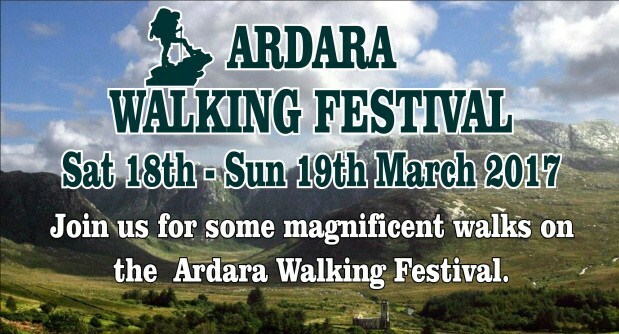 The Ardara Walking Festival will take place on Saturday 18th and Sunday 19th March this year. Organiser John Damian Gallagher has scheduled some excellent walks this year ranging from local to the Poison Glen. For more information, go to https://donegalgathering.com/march/ardara-international-walking-festival/, or contact John Damian on 087-6655828. For more information, go to https://donegalgathering.com/march/ardara-international-walking-festival/, or contact John Damian on 087-6655828.